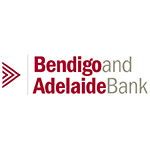 Heading up roughly 200 FTEs across three Bendigo and Adelaide Bank contact centres, the team has radically improved their service levels through a focus on contact centre basics. Now they are moving to the next phase of improvement; exploring the technology and innovations to bring about further uplift service delivery, including RPA, Big Data through AI and Voice Analytics. This session will explore the results from the program and the importance of getting a grip on contact centre basics in order to achieve success in integrating more complex services.